Call us Today 320.414.0191 or click below to get started! Element Hearth and Home specializes as a chimney sweep, with professional technicians offering Level 2 Chimney Inspections, and any repair for your chimney, fireplace,or wood stove. For the last 25 years, Element Hearth and Home has been a family owned business with roots beginning as a chimney sweep in Central Wisconsin. 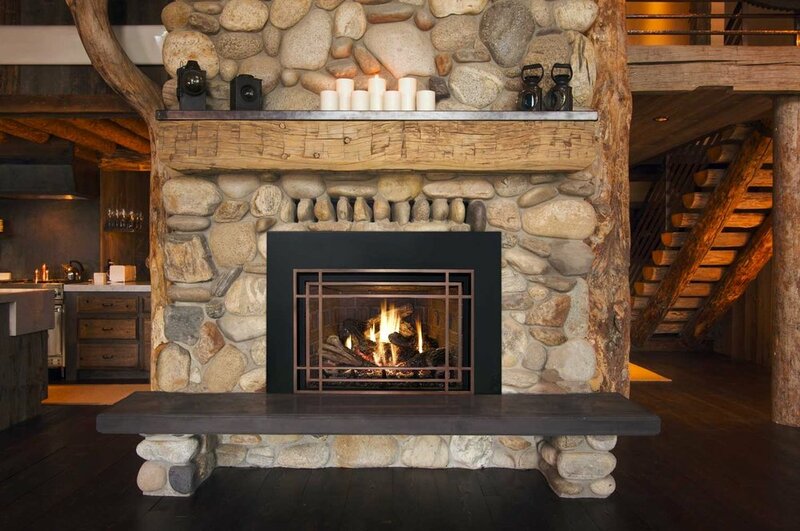 Now, with professional experience and a skilled trade that has been passed down for generations, we are proud to say we have become one of the top rated chimney sweep and wood burning fireplace companies throughout the entire state of Minnesota. With our year round service schedule, state of the art technology, comprehensive list of services, and an unparalleled customer experience, our service area has expanded into St. Cloud, Little Falls, Brainerd, Minneapolis, St. Paul, Grand Rapids, Duluth, and many others. Chimney sweeping has definitely changed over the last few years. Our mission is to provide you with the top of the line chimney sweep service that will keep you satisfied. With our excellent service, there is no better company to clean your chimney. A professional chimney sweep should never leave your home without performing a proper level 2 chimney inspection, and ours is the most thorough in the industry today. Video inspection is available for the inside of your chimney flue. We offer a variety of chimney repair, fireplace repair, and general masonry repair services from chimney removal, chimney construction, tuck pointing, chimney crown covers, and more. We have a wide variety of chimney caps to choose from including single flue chimney caps and multi flue chimney caps that come in stainless steel, galvanized black, and copper. Our chimney liners are the most affordable, reliable, and safest in the industry today. If your Level 2 chimney inspection service discovers you may need to have your chimney relined, we even waive the fee of the inspection. Regardless of the structure, we can apply a new stone or brick veneer to anything, improving the look and value of your home! We are proud to say we have become Minnesota's favorite Chimney Sweep and Level 2 Chimney Inspection company. That's right, we provide all of our services to the entire state of Minnesota including: Minneapolis, St. Paul, Brainerd, Little Falls, St. Cloud, Grand Rapids, Duluth and many, many more. Contact us today to see if we service your area - chances are, we do. If you heat with your wood burning fireplace or wood stove, you can protect your property and family by having a Element Hearth and Home professional perform a Level 2 Chimney Inspection and a chimney sweep at least annually to ensure your fireplace and chimney system is safe for regular use. Wood burning fireplace and chimney buildup usually comes in 2 forms, a light dusty soot or a tarry, lumpy residue called creosote. Creosote is caused by incomplete combustion of wood that comes from burning wet wood or a soft wood like pine. This creosote can build up in chimneys and ignite causing a chimney fire. For your reference, The U.S. Fire Administration offers a series of videos showing how to safely build and tend a fire. We make respect and safety our number one priority every time. Upon arrival to your home, our wood burning fireplace and chimney sweep professionals will treat you and your home with the utmost care and appreciation. Our inspection and cleaning process is one of the most versatile in the markets today. We offer a complete Level 2 Inspection that always comes with a full chimney sweep or chimney cleaning so that we can properly inspect for any damage. Any damage or issues we find during the inspection is then documented and compiled in a detailed report that you can keep for your records. This means, once your chimney is free of creosote or any other buildup, you get a complete video inspection of the inside of your chimney flue. This makes you fully aware of any cracks or gaps that could pose as potential fire hazards while operating your wood burning fireplace. WHAT CAN WE EXPECT TO FIND DURING YOUR LEVEL 2 CHIMNEY INSPECTION? Most traditional brick-and-mortar wood burning fireplaces were built with clay flue tile to serve as the venting for all of the dangerous by-products being released when your fireplace is being used. Generally speaking, these are sections of 2 foot lengths that get stacked on top of one another prior to the mason constructing the brick work for the chimney structure. These 2 foot sections of clay tile are mortared together with a high heat refractory cement or fireplace mortar to ensure all of the heat exhaust from your fireplace is being contained. Overtime, general wear and tear, weather, condensation, a foundation shifting, or even chimney fires could have caused this clay to either crack or the mortar joints in between the clay to deteriorate leaving large gaps. These cracks and gaps could cause severe damage to your home if left unattended. Our chimney sweep service has now received over 200 5 star reviews! What can you expect with our chimney sweep? "Dear potential Element Hearth & Home customer, we are writing this letter of recommendation with some very happy feelings. These guys did a fantastic job at our cabin this past July. We didn’t know anything about these guys before hiring them. We went ahead with them anyway to do the work because of their professional, courteous and prompt responses to our inquiries. Their estimate was fair and you will not find more dedicated hard working guys that just blew us away with their work ethic. No dragging the job out - they showed up when they said they would, they did the job the way we asked plus did extras. One of things that we appreciated the most was their FAST responses to our calls and e-mails. Their quality of workmanship is top notch!!! We highly recommend this company to any potential customer and especially cabin owners that do not always have the time or resources to do a complete background check on potential contractors with the out of town problems. You can hire these guys with ease of mind that the job will be completed on time! For the price proposed! And you will be very happy with the results, we sure are!" "Super easy to work with and they did a great job with our chimney sweep!" "Great job! Very personable, professional and thorough. Delightfully surprised. Thank you." "On time, quick service and knowledgeable. Will definitely call again!" "Loved them very informative. Will definitely recommend them to people"
"Great! Super nice guy, really clean, right on time." "Right on time & very professional. Great job! Would definitely call again!" "Professional chimney sweep, honest, and knowledgeable"
"I don't think we have ever had such a pleasant experience getting our chimney swept!" "It was pleasant and quick!! It couldn't have gone better. I would HIGHLY recommend them and we will use them again." No matter what you need done to your fireplace or chimney system, we can help! If you have any questions, feel free to contact us at anytime. No matter where you're located, we can probably help. We cover most of the state of Minnesota and have probably have helped many of your neighbors. Ready to schedule your Chimney Sweep, Level 2 Chimney Inspection, or Masonry Project? Thank you! Your appointment request has been received and we'll be in contact with you as soon as possible. To ensure delivery to your inbox, please make sure we are added to your contacts list, we would hate to end up in your spam folder.